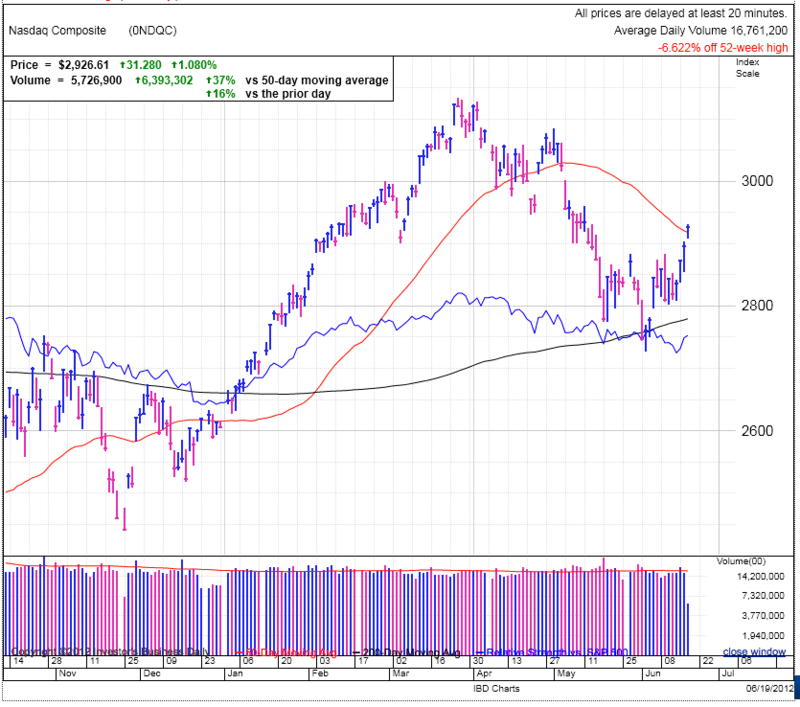 Stocks opened strong this morning as both the S&P500 and NASDAQ broke above their 50dma. But the real question is if this price action is driven by fundamentals or technicals? Has the market’s outlook on the future materially changed, or is this simply structural buying as we are passing key levels, triggering autopilot buying from both bulls and bears? One is a sustainable phenomena, the other is temporary and will quickly run out of steam. No doubt my judgement could be clouded by bias, but it seems not much light has been shed on the future protects of the economy or Euro justifying a run up in price. But we crossed several key technical levels that could explain the buying activity. My attitude at times like this is I would rather be out of the market wishing I was in, than in the market wishing I was out. Profit opportunities are like a city bus, miss one and another one will be along any minute, but losses are forever. Two other aspects that could be driving the market is the Euro is staging a monster move today, weakening the USD. Over the last few years a weak dollar has often boosted the equities market. The other aspect is the Fed is meeting today and tomorrow and many traders are hoping for a QE3 announcement. But personally I don’t expect the Fed to act because QE3 is the last arrow left in their quiver and using it now simply to please equity investors doesn’t seem like a smart move on their part. While my analysis of the market tends is a bit unconventional, a disciplined CAN SLIM trader should be testing the water with smaller positions from proper buy points, knowing his discipline and rules will minimize any losses if this FTD fails. Each individual trader needs to stick to their game plan regardless of what other people are doing around them. I’m not buying this FTD and could easily end up chasing the market above here, but that is what I feel comfortable with.